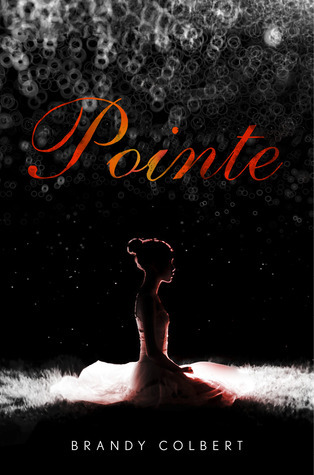 Review: Pointe by Brandy Colbert. G.P. Putnam’s Sons, 2014. Currently Available. Face Value: It’s lovely. With the elegant coloring, font, and image, this cover treads a fine line between spun sugar ballerina book and Black Swan grimness. What’s inside is neither one – and the cover reflects that. Does it Break the Slate? Without a doubt. This book layers in so much critical thinking with regard to race and gender, and balances major issues delicately and thoughtfully, all the while giving us a complicated, nuanced heroine. Who would we give it to? If you’re a contemporary realism reader, you will fall all over this book. Colbert has created such a rich, carefully balanced world, characters and plot that I would recommend it widely. If you’re interested in diverse characters (i.e. non-white main characters in a book that is not directly about race), you’ll be pleased with this as well. Review: With craziness in work and life, I’ve fallen off reviewing over the last month or so, and I’ve totally missed it. I’m so glad to be back reviewing, and I’m so glad that this is the book I’m starting with. Pointe brings so much of what I look for in my fiction reading, and I’m excited to reflect on all of the nuances that made it so exceptional. The story follows Theo, a ballet dancer, who is just getting her life back on track. She’s eating, for the most part. She has friends. She loves her parents. She’s on track to move into summer intensives in ballet, leading to career success. But when her best friend Donovan returns home after years of being kidnapped, old issues emerge to the surface and new secrets are discovered. With Donovan not talking, and new realizations, Theo has to decide how much she’s willing to reveal. Despite the title, the cover, and Theo’s passion, this is not really a ballet book. Ballet is at the core of what drives Theo, certainly, but there’s a lot more to the story. That said, Theo’s drive and identity as a dancer is a major part of who she is – the dance element isn’t tacked on. It’s also not just a book about a kidnapping, or a book about anorexia. This is a story with many layers, and it is a story about one young woman at a turning point in her life. The plot of Pointe sounds melodramatic and overly filled with issues. It’s not though, at all. Everything, for Theo – her past, her present, Donovan’s kidnapping, her dreams of dancing professionally, her eating disorder, her romantic life, her friendships, her family – there’s so much here and I was surprised how it never felt like too much. Part of it, I think, is the strength of Colbert’s characters. We are right in Theo’s head, and the multidimensional nuances of this character give us a clear lens into all of the different facets of the story. And the supporting characters, seen through Theo’s eyes both past and present, are richly realized, giving real weight to the story and surroundings. So the story and characters are strong, the writing is exquisite but it’s also such a Slatebreaking story. It goes beyond dealing with issues, like eating disorders or sexual abuse (although it can certainly be Slatebreaking to address these things). But it’s more about the way we see Theo’s journey develop over the course of the story, the way we see her come to a place of strength where she can not only stand up to help someone else, but find the strength to ask for help herself. It’s powerful. And really worth a read. This entry was posted in Reviews, Young Adult and tagged Ballet, Eating Disorders, Kidnapping, Trauma. Bookmark the permalink.